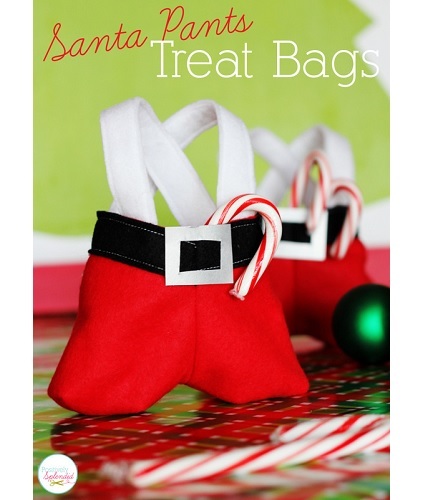 These Santa Pants Treat Bags are SO stinkin’ cute!! Amy from Positively Splendid shares a tutorial showing how to make them out of craft felt. You can fill them with any small wrapped candy. Or, maybe some shred fill and a gift card? Go to Positively Splendid for the pattern and tutorial.